Serve up all of your favorite flavors with this rich, decadent, and super-simple sous vide dessert. 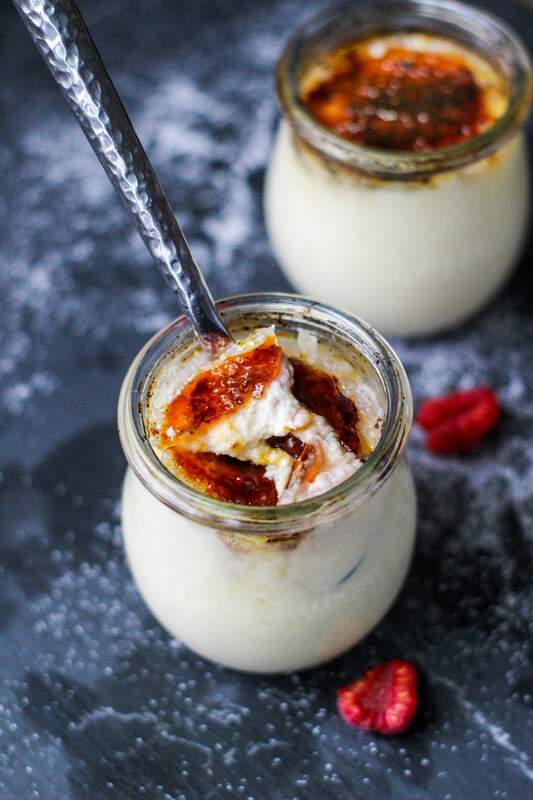 The perfect treat for a dinner party or as the evening capper to a holiday dinner, this custardy dessert will come out impeccably everytime. In a large mixing bowl, combine cream cheese, sugar and salt. 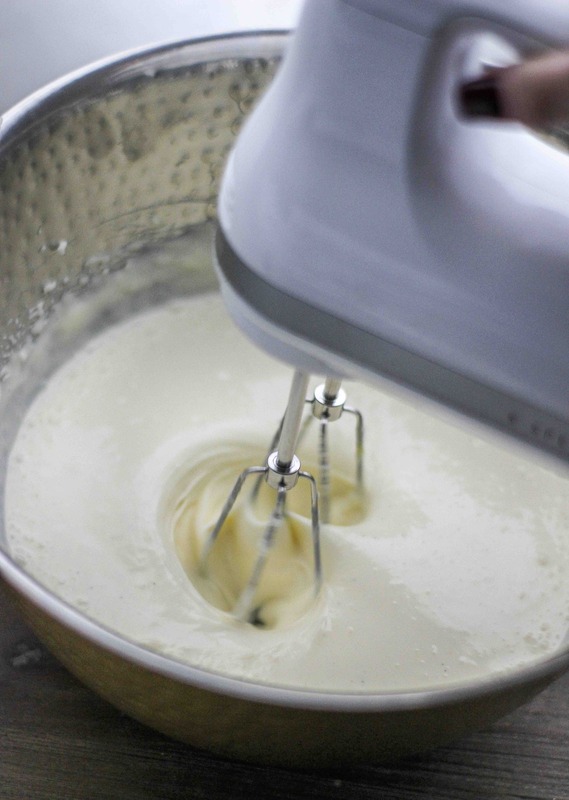 Using a hand mixer (or a stand mixer), blend until no lumps of cream cheese remain. 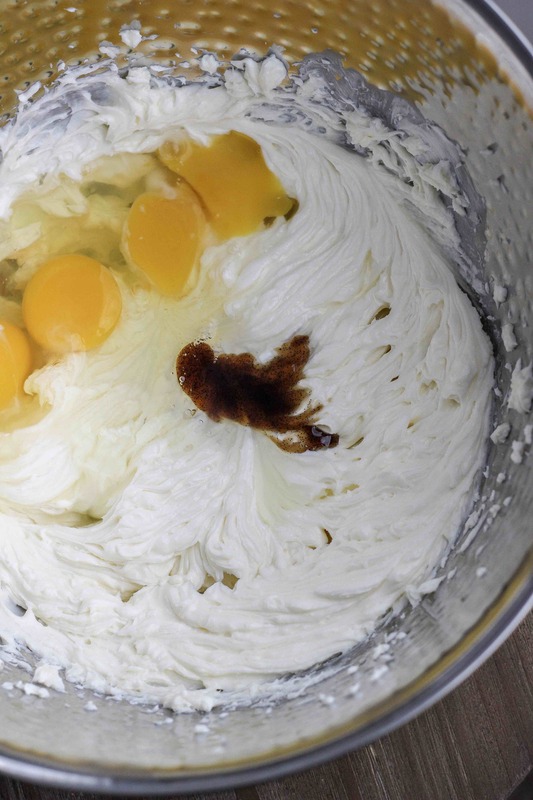 Add eggs, vanilla and cream and mix just until everything is combined, scraping down the sides of the bowl if necessary. Transfer cheesecake to jars (I use 1/5th pint Weck jars or 4 oz mason jars. It'll yield about 6 jars). Do not fill all the way to the top, leave room in the jar for expansion. 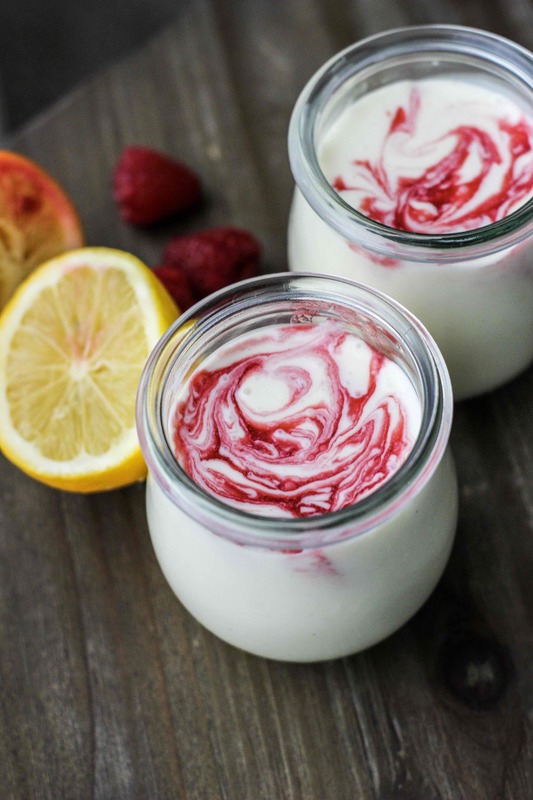 In a microwave safe bowl, combine raspberries, sugar and lemon juice. Microwave for 1 minute or until raspberries are breaking down. Using a whisk or fork, mash the mixture until the raspberries are broken up. Strain the seeds out and put liquid into a squeeze bottle or bowl. 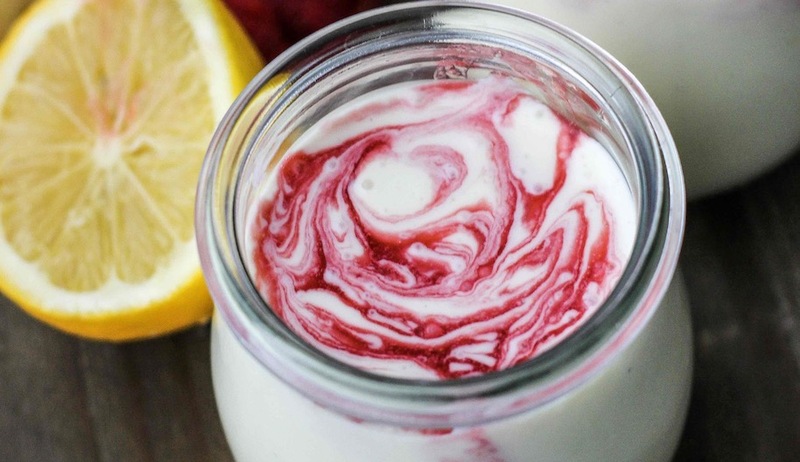 Add about a teaspoon of raspberry liquid to each jar, stirring to evenly distribute it. Put the lids on the jars (use 2-3 clips for Weck jars or seal fingertip tight for Mason jars) and lower into the bath. 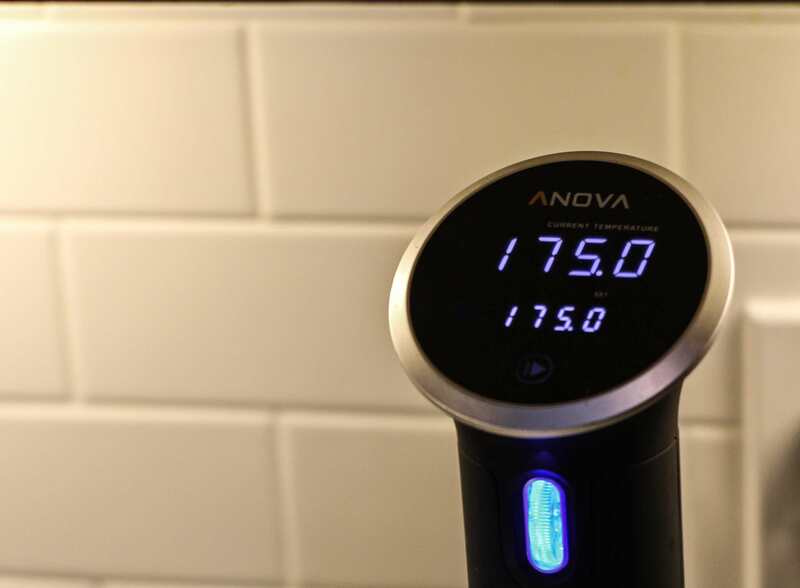 Sous vide for 90 minutes. Remove from bath and allow to cool on the counter for 20 minutes. Remove from fridge once set and remove lids. Carefully smooth the tops if necessary and sprinkle granulated sugar on, swirling the jar for even distribution. Carefully torch the sugar until caramelized and repeat for several layers for best results. Serve immediately (do not brûlée ahead of time! ).